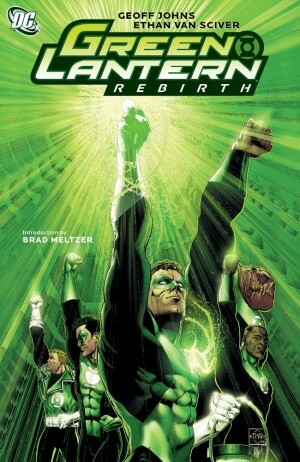 Despite a new photo cover displaying the movie Shazam, this 2013 graphic novel dates from DC’s misguided ‘New 52’ experiment. 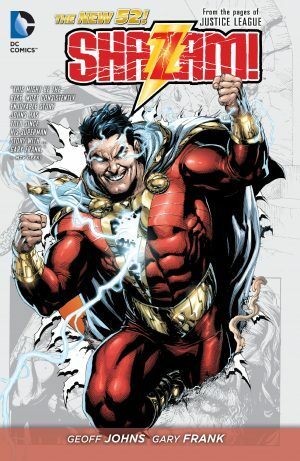 One effect was DC’s decision to re-name what had once been Captain Marvel as Shazam, after the magic word that transforms young Billy Batson into the Superman-like hero. There are complex real word reasons for this, involving trademark to the name Captain Marvel, and the howls of traditionalists notwithstanding, it makes sense to be able to call your character by the name appearing on the cover. That’s not the only aspect likely to annoy traditionalists. Pretty well the signature of the Billy Batson Captain Marvel through the ages has been Billy’s endless virtue as a well behaved and responsible child. That’s not this Billy as introduced. He’s spent most of his young life in an orphanage, and it’s produced a personality enabling him to cope with the world, one that’s negative, aggressive and solitary. However, Geoff Johns is a good writer, and not one to throw out the baby with the bathwater, so considerable time is spent explaining Billy and his attitudes, during which some better qualities are also displayed. 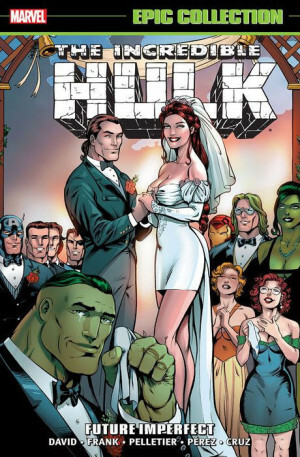 What at first seems deliberately devised to bait the former Captain Marvel’s existing fans turns out to be a respectful reboot. Beyond parody, would the flawless Billy as he was connect with any but the youngest readers in the 21st century? The way he is here enables a broader connection. 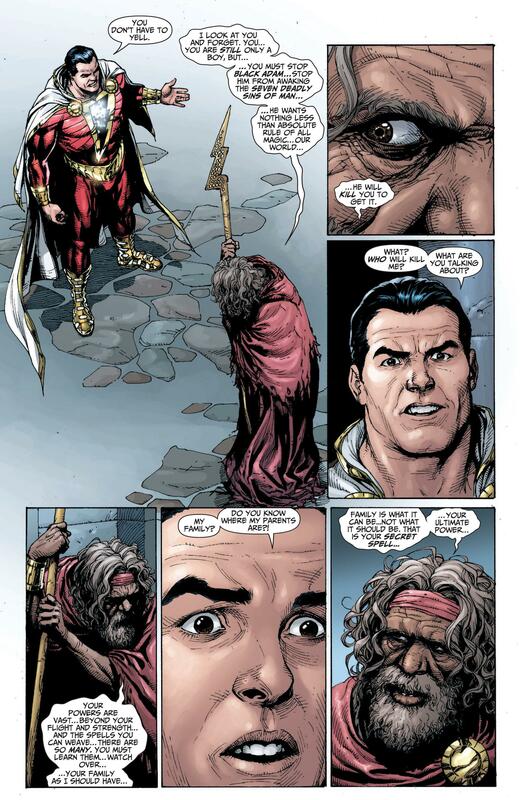 While establishing that, Johns also addresses many minor niggles about Shazam and his world in passing. Why anyone with those powers would want to change back to a kid, for one. Because he’s dealing with a fair dose of sentimentality, Johns sets this story at Christmas, and that’s wonderfully presented by Gary Frank, who might be channelling Bedford Falls and its eternal evocation of all that’s good and comforting about the festive season. Frank’s powers of persuasion extend well beyond, though, and he’s convincing both with beings of unimaginable power in a world that’s not seen them before, and the mystical elements that sit alongside. 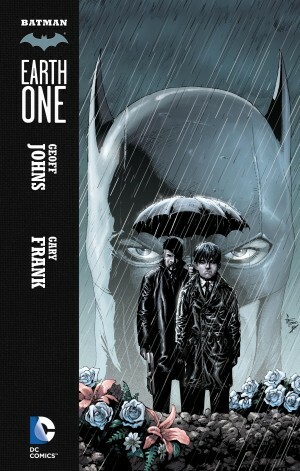 Along with Shazam himself, Johns and Frank reintroduce two of his most prominent enemies. Under Johns Black Adam had been appealingly revised in the 1990s JSA series, arrogant and confident in his decisions, but not inherently evil, and that depiction’s still fit for purpose. Dr Sivana is recast as a single-minded genius, but with an underlying reason to pity him, if only slightly. 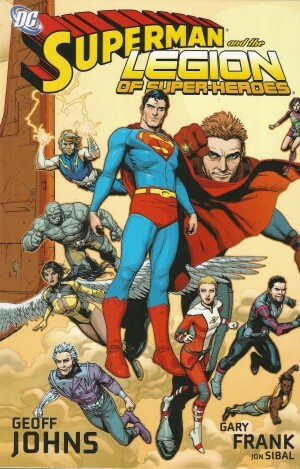 Beyond Billy, Johns’ task is to recreate the entire Marvel family, reminding us that “Family is what it can be, not what it should be”, and there’s too great an element of contrivance about this, despite him foreshadowing with familiar names. That the resulting Marvel family is more representative of current American society is good, but as six people with essentially the same powers would be too repetitive, Johns introduces new abilities that push at the essence of the simple power set of the past. As both an origin and fall and rise story, this works thrillingly until the final thirty or so pages, and even then just drops down to slightly better than average. Unfortunately it’s a one-off. 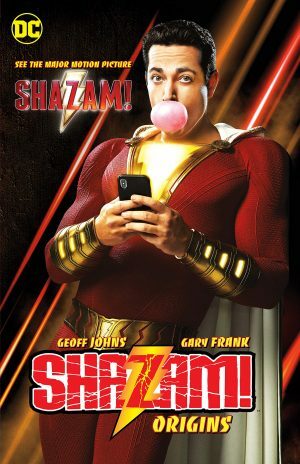 Shazam’s ensuing destiny played out in other titles, not his own, and before anyone could really capitalise on Johns and Frank’s work it was time for another re-boot. However, it’s a version that’s remained fit for purpose and stood the short term test of time well enough for DC to plan a deluxe hardcover reissue in 2019.